Have you been grappling with trying to figure out the best method of advertising for your company? Have you ever considered working with a Utah SEO digital marketing company vs. an advertising firm? There is no question that you get your money’s worth when you use the SEO methods of digital marketing as opposed to other typical advertising techniques. For example, if you were to place an ad online in a banner, you might get a few clicks, but probably not enough to make it worth your money. It can be very difficult to predict where your target audience will be online and what will motivate them to click on an ad. That ad also has to be enticing enough to catch attention. Most Millennials (who make up the majority of sales today) are ad blind. They not only ignore ads placed strategically online, but they are annoyed by them. They will block these ads whenever possible. So how do you advertise to the largest purchasing clientele who are trying desperately not to be advertised to? You get ranked on search engines. The absolute best way to get noticed by customers is to have your local SEO company rank your website so that you are exactly where your target audience is looking. Your customers will be happy to seek out your services because they won’t feel like they were tricked into visiting your site. If that wasn’t enough to excite you, here are some of the reasons why you should discuss investing in organic SEO services with an expert SEO consultant from Benji Marketing. When you create a typical ad, a lot of work, time, and money go into it. You have to pay the creative people to make it and pay other companies to post it, print, it or play it on television. And after all of this, you won’t even be sure that your target audience, the people who would actually be interested in your product or service, see it. With your Utah SEO company, you will rest assured knowing that you digital marketing budget is going to enhancing your online presence and driving traffic to your site. Instead of wasting money on an ad that a small percentage of your target audience may see, you will be spending your marketing budget to boost your rank in search engines so when your customers make a related search, you will be among the first websites they see. Customers trust and respect popularity. You may have thought that the popularity contest ended in high school, but the truth is that customers are afraid to invest in a company that they cannot obviously see the success of. Most customers and clients assume correctly that one of the factors that get you higher in search engine rankings is clicks. However, this is not the only factor that goes into your success in SEO marketing. An expert SEO company knows exactly what search engines are looking for. Some of the things they look for is consistency with postings, relevant content, and length, among many other more technical things. This is why working longterm with your local Utah SEO company will work in your favor. If one of the things search engines is looking for is consistency, strategizing with a longterm digital marketing plan will boost your rankings. And if you have the top ranking spot, customers will know that your business is successful enough to have some sort of popularity, following, or at least a marketing budget. All of these factors point to success, and customers want to work with companies who are successful. 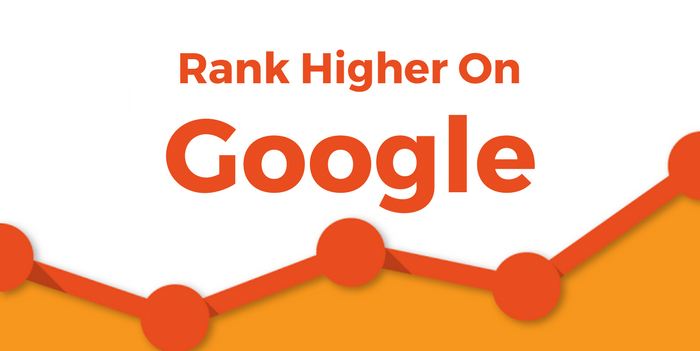 They are much more likely to put their trust in your company, the higher they see you on a search engine ranking. 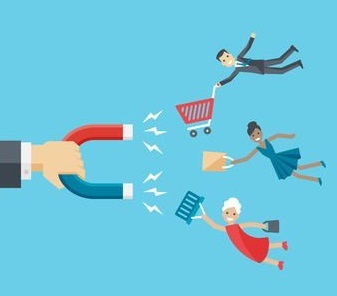 When you get first-time customers visiting your site from your search engine ranking, you want to draw them in and keep them as returning customers. The way you can do this, is by encouraging returning traffic to your site. Your Utah SEO company can explain some techniques that help remind your customers that you are there. Some of these techniques include affiliate marketing, email subscriptions, following buttons, social medial links, and more. The success of your business is based on more than your ranking on a search engine, though that gets your foot in the door. You have to have relevant content that will keep your customers interested, referring their friends, and coming back for more. You will be able to track returning customers and how many followers you have through your website statistics and social media. Your SEO company can give you invaluable advice for how to make and keep customers for life. With many ad companies, you might have a one and done project to have them work on. You might have an expensive ad created for your business to use over an over that ends up never being seen. Your Utah SEO business is invested in your success. Your success equals their success. SEO companies want your business ranked because they can use your business as a good example on their resume. Many SEO businesses work through referrals, you know that they care about customer service. So you know, as a customer, that your SEO consultant will always be working tirelessly for your business to be ranked. They know that they will be working with you for months or years and a good working relationship is important to anyone doing business. You can build this relationship and trust with your local SEO expert. Many people still decide to invest in print, online, and television ads rather than boosting their SEO because they understand it more. The technical side of SEO can make anyone a little bit confused. This is why Benji Marketing is a great choice for your Utah SEO needs. They always make sure that their communication is clear with their clients. If they sense that their clients don’t understand what they are talking about with regards to digital marketing, then they will explain it as simply as possible. They also always ask for feedback and if there is anything that the clients don’t understand. Many times working with a technical company feels like working with a mechanic, but not with Benji Marketing. You will never feel taken advantage of because you will be able to see the success through the statistics and in the success of your business. It can feel like you have to take a little leap of faith to run your SEO digital marketing plan, but it is actually safer than other avenues of advertising. With the typical advertising, your ad agency could tell you that you so many people drive by a billboard every day or that a certain amount of people buy this magazine that you are planning on printing in. But they can’t tell you how many people actually buy based on those ads. SEO can do you one better than that. They are able to track where you traffic is coming from. Your website statistics can tell you if someone visited your site from social media, search engines, or a backlink on another website or blog. You will be able to know exactly what are the most successful ways to get your target audience’s attention. You can even track how many people click through to different pages on your website, so you will be able to tell if your content is interesting enough for customers to not just look at your site, but stick around and get comfortable perusing it. Your Utah SEO company will periodically sit down with you and your statistics and revamp your digital marketing plan. They will look at the areas where your business is most successful and areas where it could use improvement and they will rework your plan to focus on the area that is most beneficial to you. You will always know that you are spending your time, energy, and money in a place that is working out for your business success. There might be a lot of people who understand the basics of SEO marketing. You can pick up a book about SEO at any library or bookstore, but this doesn’t necessarily make them an expert. It is important, if you are entrusting your digital marketing for your business to a company, that they are experts in their field. Don’t be afraid to ask how long they have been working in organic SEO services. If they have been in the game for years, then it is likely that they are pretty successful at it. One of the main reasons that a longtime SEO expert is preferable is because SEO changes a lot very quickly. If your consultant has been working with it long and has been successful, you know you have an expert who knows how to roll with the punches. If you have read this far, you have probably thought about how an SEO company could help your digital marketing plan for your business. Contact your Utah SEO consultant company at Benji Marketing today. Jump to the contact page and set up a consultation with one of the expert consultants at Benji Marketing.